At age 8, toward the end of a picturesque Hawaiian vacation, David Bany's daughter Rachael Sneddon lamented leaving the beach for the drizzly Pacific Northwest. So, amid a moonlit sky, Bany took Sneddon's hand and whisked her to the shore one last time. There, he imparted a message Rachael took to heart: "It's OK to be sad but we don't need to say goodbye to the beach. We can say see you later and we'll be back." Rachael won't hear her dad's wisdoms again but the insight he instilled left an indelible impression. "My dad taught me to keep my chin up, be thankful I had the amazing opportunities I had and take time to look forward to the good times to come," she said. 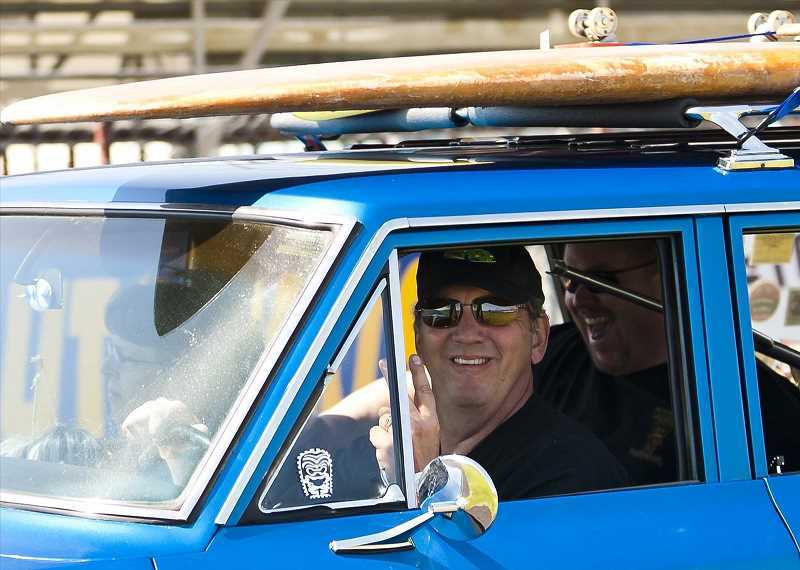 Bany, a Wilsonville resident, co-founded World of Speed in Wilsonville with his wife Sally and died at age 59 April 1 after a bout with cancer. But through his family, World of Speed and other programs to help children, his memory will persist. A public service for Bany will take place Saturday, April 21, at 10 a.m. at Jesuit High School. "Dave was a true gentleman. I was honored to have the opportunity to work with him in building World of Speed," World of Speed Executive Director Dave Pearson said. Bany grew up in West Linn with eight siblings and his love for cars burgeoned when he worked at his father's gas station in Gladstone. His daughter Annie Bany has fond memories of driving through the Oregon countryside in one of Bany's classic cars listening to music from the 1970s or '80s. Bany's wife Sally Bany shared his passion for cars and the couple channeled this passion by starting World of Speed, which is an educational motorsports museum in Wilsonville. The museum includes exhibits, youth programs and an extensive motorsports archive. "The entire museum is in his vision, start to finish. They (David and Sally Bany) had a hand in everything that it is today," Pearson said. Bany spent much of his career encouraging youth to develop a passion for cars and to succeed in life. Bany established World of Speed's automotive learning center and the program has ballooned from serving 20 kids to 130. Through the program, kids learn how to test car diagnostics, make simple repairs, strip an engine down and put it together and other handy tasks. The students from 10 high schools also receive accreditation. "That was his vision," Pearson said, "his way to give back to the community was offering these opportunities for education. The students are learning the value of work." "He was very proud of the education program and the fact that it gave students the opportunity to learn more about the motorsports industry," the Bany family wrote to the Spokesman. Bany was also an avid guitar player. 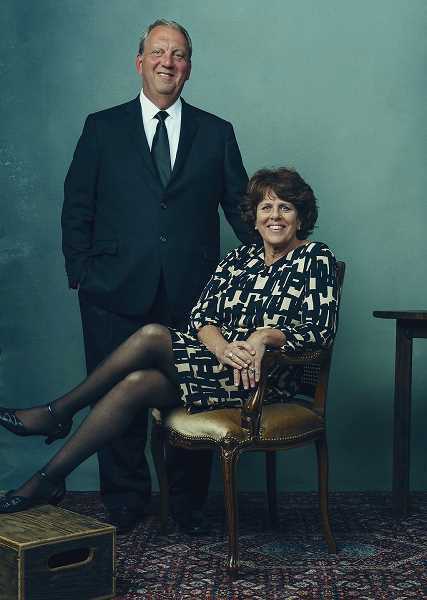 And through the Marie Lamfrom Charitable Foundation — named for his wife's grandmother — he and Sally contributed to programs aimed at bettering the lives of children. The Banys also co-founded the Youth Music Project in West Linn, which provides music lessons as well as recording opportunities for students and tuition assistance for young musicians from low income families. "Dave wanted to give all children the opportunity to live out their dreams and aspirations. He wanted to create places where students could excel in something they were passionate about and learn skills that could turn into a future career," according to the Bany family. Bany also developed World of Speed's archive, which includes an extensive array of memorabilia from the Daytona 500, the Indianapolis 500, the Bonneville Speedway and other raceways as well as remnants from distinguished racers like Art Poland, Ed Rose and Sue Mitchell. "It's giving the opportunity for people to see the history of motorsports in the Pacific Northwest. That was part of his passion for cars," Pearson said. Bany's other hobbies included studying history, visiting Hawaii and watching his favorite film: "Blue Hawaii." The Bany family describes Dave as soft-spoken. But his actions spoke louder than words. "He was a funny, thoughtful and caring man. He was a man of few words and quietly worked to improve the lives of others," they said. Bany is survived by his wife Sally Bany, his two daughters Annie Bany and Rachael Sneddon, his son-in-law Russell Sneddon, and his granddaughter Norah.